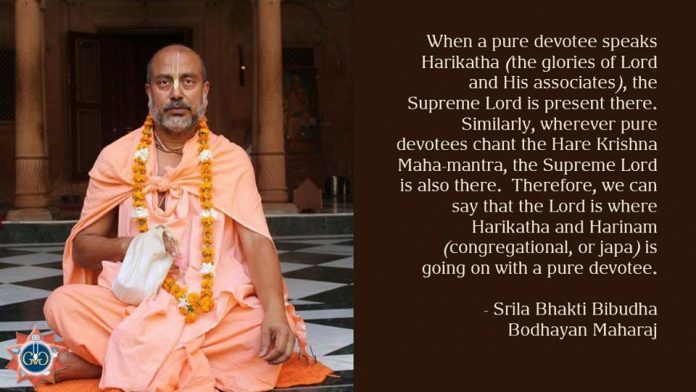 When a pure devotee speaks Harikatha (the glories of Lord and His associates), the Supreme Lord is present there. Similarly, wherever pure devotees chant the Hare Krishna Maha-mantra, the Supreme Lord is also there. Therefore, we can say that the Lord is where Harikatha and Harinam (congregational, or japa) is going on with a pure devotee.